Panasonic has outlined its new Smart Viera Plasma HDTV range - with the latest Viera connect tech and full HD 3D and anew flagship to take on the mantle of the much-loved VT30. Panasonic's televisions have been winning huge critical acclaim of late and the company will be looking to continue that with 17 new models in sizes from 42 to 65 inches. "New to select Viera TVs is the inclusion of a browser, further enhancing the internet platform, as well as the addition of "3D Real Sound" with 8-Train Speakers to further enhance sound quality," adds Panasonic. As well as this, the new connected services and lighter 3D glasses the latest TVs bring NeoPlasma Black 2500 panels and the 3D TVs are all DLNA equipped. Panasonic is also keen to point out that six of its new TVs have been certified by THX in both 2D and 3D mode. So what are the new ranges? Well topping the listings there's the VT50 series available in 65 and 55 inch flavours. It's a full HD 3D offering and, as you'd expect for the flagship TVs it has more functionality than you can shake your remote at, including built in WiFi, four HDMIs three US ports and what Panasonic is labelling a 'stunning' design -with good reason. A little further down the food chain is the GT50 series available in 50, 55, 60 and 65 inch versions and bringing Full HD 3D, and then comes the ST50 and UT50 which are both Full HD 3D but with less features than their pricier brothers. 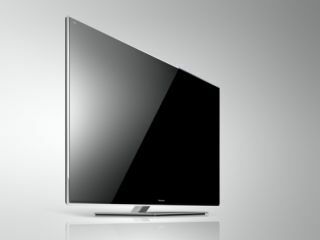 The XT50 series is described as affordable 3D and the lone non 3D TV is the U50 - which comes as a 50 inch offering.